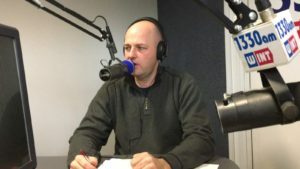 A really tough HOW Question for this week’s show with Jack Mencini and Adam Sonnhalter, who are both business partners and business coaches of Maximum Value Partners www.maximumvp.com is How do I know when to overhaul my business? As cohosts of the weekly Dirty Secrets of Small Business radio shows and podcasts, they tackle many tough HOW Questions and this week’s one is no different in having them dig deep to offer insights on how small business owners can navigate the challenging obstacles of making their businesses successful. When does having trouble with your business turn into a total overhaul or a even closing the doors for good? It is rare that the business the owner started day one is the same business years later. All businesses go through transition, change and evolution. These changes don’t always mean growth and don’t always mean devastation either. But, if you are at the point of continually losing money or not making much money at all, you have to ask yourself: Why am I doing this and why isn’t it any fun for me to run this business anymore? As business coaches, Jack and Adam focus on the scary six-letter word: PROFIT, are you making any money? Too many business owners cannot answer this question. They will quickly say “yes” or “no” but when we ask them how they know they are or are not making a profit they usually respond by saying “there is money in the bank” or “we are paying taxes.” While those might be signs that your business is profitable, it may not in fact be the case. One of the Dirty Secrets of Small Business we’ve learned over the years is that most small business owners don’t understand or use their financial statements. If you don’t use financials statements to guide you and don’t know where your cash flow is coming from, how can you really chart the course for success or even know that it is time to make some significant changes or perhaps close the business down and walk away? MVP helps business owners recalibrate and overhaul their businesses by focusing on the 7 Keys to Success. Keep things simple, starting with know what your main role is as the owner, which can be boiled down to three words: Plan, Direct and Control. If you have a success story or a question you would like to share, email or call (radio@maximumvp.com or 877-849-0670). You can also call in during the show each week at noon (EST) – 1:00 pm on WINT 1330 AM, call 440-946-9468 to ask your question to the Maximum Value Partners’ coaches. The post When to Overhaul Your Business appeared first on Maximum Value Partners.